I'm sensing a whole Star Wars theme to the titles in these latest episodes of Cosmic Disclosure. It's a good choice I think, considering the history of our solar system, the current situation of our planet, not to mention the ancient moon-sized planet destroyers near the Kuiper belt. The themes seem to fit on multiple levels. In this discussion, we hear the firsthand account from Corey Goode on the return of Lieutenant Colonel Gonzalez (though this is not his true name). As stated in the previous episode, this is the material detailed in the write-up which Goode published a few months ago. However, it is good to receive such information in verbal form so as to fill in any details that may need further emphasis. To hear this account in detail may remind us that even though we have heard much and seen much, we have only scratched the surface of the truth that awaits us. 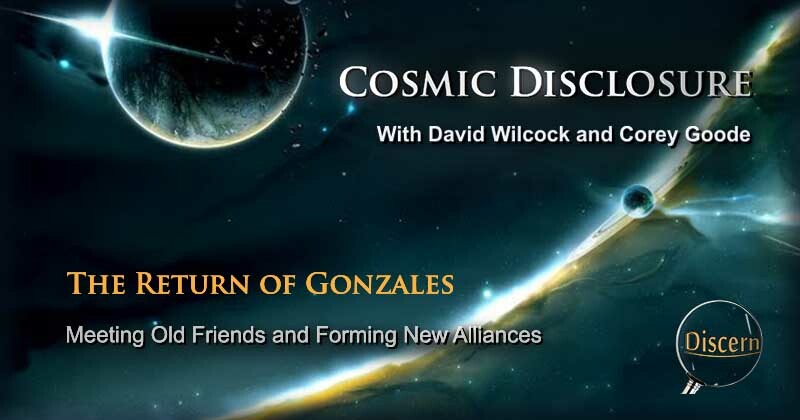 David Wilcock: All right, welcome back to “Cosmic Disclosure”. 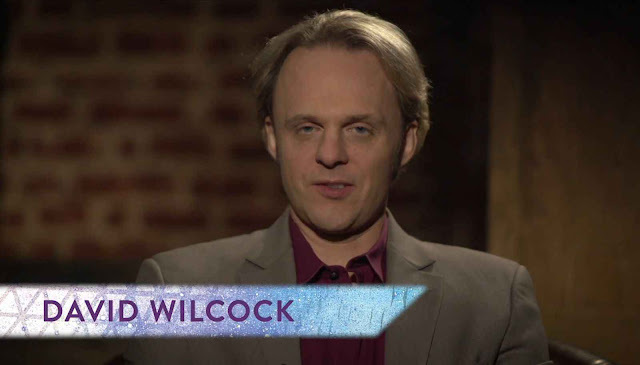 I'm your host, David Wilcock. I've got Corey Goode here, and we are further going into the updates that he has to share with us. This is some of the most amazing stuff. So Corey, welcome back to the program. David: Let's go through now what happens next. Corey: I was brought up into a Blue Sphere in one of these meetings, and Gonzales was there. And he'd been away for healing with the Mayan breakaway group, and he was a completely different person. David: So let's walk through that a little bit. What happened to you when that contact started? Corey: When the contact started, I had, as I had mentioned, seen Tear-Eir and a silhouette next to him. And it turns out that that person standing next to him was Gonzales, who I hadn't seen in some time. David: Well, that must have been a concern, because he was pretty antagonistic towards you before. Corey: Yeah. And to be honest, I felt a little anxiety when I saw him at first, but the look on his face was completely different. He didn't have the scowl. He didn't have the wrinkled forehead, the tensing tendons in his jaws. And the look in his eyes was totally different. He looked pleasant. David: Hm. What was it like to see Gonzales in this newly transformed state? Did he have anything to say about the way that he had been before? Corey: Yes. In the conversation when he was talking to me, he got a serious look on his face, and he apologized for his previous behavior. He stated that he was triggered. He was in a really bad place. And I could tell – he was indicating that he really wanted to hear from me that I had forgiven him. So I told him that, just like guys talk to each other, don't worry about it. It's in the past. Let's move forward. And he was visibly pleased that I wasn't going to hold on to any animosity towards him. David: Good. What were some of the other things that he had to say at that point? Corey: Well, he said that when he was going through the process with the Mayan group, that they had asked him if he wanted to know who he was, who he is, and who he would be. And he answered, “Yes'” to the question, and he received information that allowed him to view everything with different eyes. He didn't see things the same anymore. David: Did you get the sense that this had to do with past lives, reincarnation, things like that – soul destiny, soul mission? Corey: Yes, I think it had to do with all that. David: Okay. Did he also seem to have a vision of like his future – what would happen in the future? Corey: Well, he did indicate that, talking about his past a little bit, that he had always been mission-oriented, was always wanting to work for the greater good. And he had joined the military to do that. And he figured by being in the military and completing the mission in any way possible, he was being of service-to-others. And he stated that because of the rank he had and the way he was working up through the military, he ended up falling into a lower-density trap of ego. David: Hm. So this question of identity is one that you've said before was presented to you. David: So did Gonzales have anything to say to you about that? Corey: Yes. He told me . . . I had been presented two times . . . Tear-Eir asked me and Kaaree asked me, and I said, “No”, to both of them. And at the time, Kaaree kind of shook her head and said that stubbornness follows me through all of my incarnations. Corey: And after telling me that he had said, “Yes”, to that same question, he encouraged me to do the same in the future. And he went on a little bit talking about how he was going to remain with the Mayan group, that he was not going to be able to slide back into an old role, nor would he want to. He was going to reside with them and be sort of like a delegate with them with other groups in the solar system. 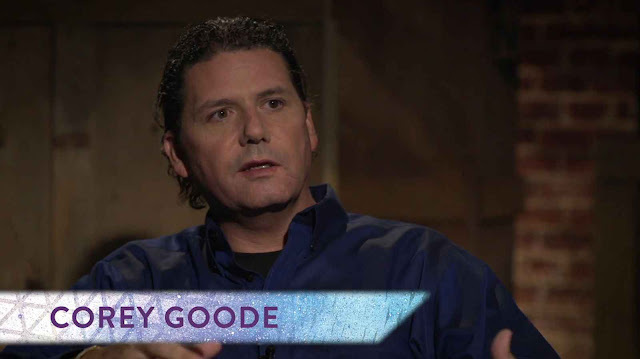 There are a number of things I could say about the information that Corey Goode declined to learning regarding his past and future life experiences. I can understand why a person might not want to know certain details, as learning the nature of self as different than one's present life can have significant effects on them. If any of us were to learn that we were someone else at one point, and that we were going to be completely different in the near future, a number of things could change for us. The relationships we have might change. Our perspective on our current situation, as well as our overall perspective on existence itself might change. We may be less motivated to undergo any of our current activities, and might choose to pursue completely new endeavors. There is no telling the impact that might result from learning about our past and future selves. The concept of identity is one which many may take for granted. 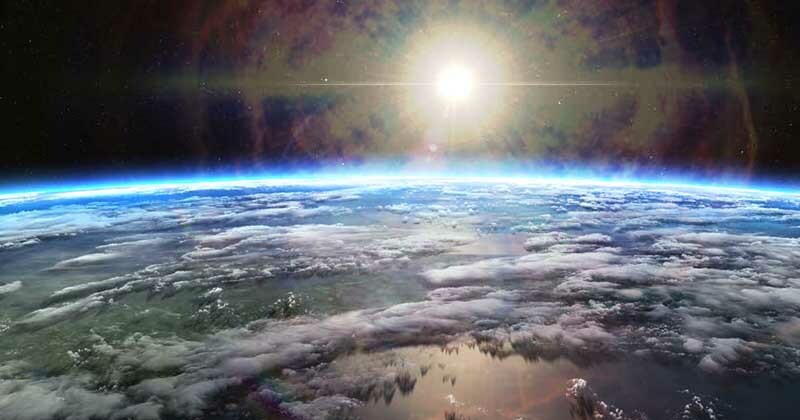 Considering the likelihood that we may live thousands of lifetimes over can be overwhelming. If we consider the fact that part of the ignorance which we call the “veil” involves believing our identity to only be that which we see in the mirror. At some level, believe that since we take care of this body, and that we undergo activities in this body, that we are nothing more than this body. However, if the concept of reincarnation is true (and I believe that it is), then this means that our true identity goes beyond flesh and blood. This is a very interesting subject to ponder. However, there is more to the discussion. David: Do you think that he went through some kind of Ascension experience? Or was this more of just like an emotional detox? Corey: An emotional, psychological healing. David: You mentioned in your update that there was something he said about the battle over Antarctica at this point. Did he just review what you already knew, or . . . ? Corey: Yes, he gave me kind of a summary review of the information that I pretty much already knew. Corey: He did state that there might be another opportunity to have an operation that they had wanted to begin with when they wanted us to provide the intel. Corey: So, you know, a lot of the same information with a few new caveats. David: You then mentioned in the update that he started to go into a lot of information regarding this idea of what William Tompkins has called “the solar sneeze” and what different Cabal groups and other groups think is going to happen. Corey: Yes. Yeah. This conversation made me tighten up a little bit, get a little anxious. He started off by telling me that all of these groups that are going down to Antarctica are all looking to hide from this solar event. Corey: But of the occupants down there under the ice in Antarctica, they all had a different idea about what would happen when this “solar sneeze” occurred. 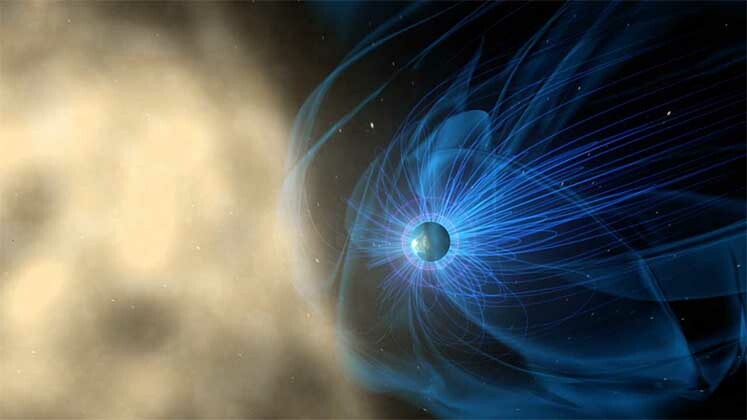 They all pretty much expected a coronal mass ejection that was the entire sun's corona mass ejecting. Corey: And they stated that most of the more scientific, pragmatic people, they expected a major blast wave to come from the sun that would knock out our electronics, electricity, and then behind that would come the mass ejection that would then hit the Earth. Now, he said that there was quite a bit of a difference in what the different groups thought was going to occur when this blast hit the Earth. Some of them expected us to lose all of our electricity grids, all of our electronics would be destroyed, and it would take a few decades to overcome it. He also interjected that that event was expected to clear any artificial intelligence from our solar system and provide us an opportunity to disseminate all these new technologies to all of humanity at the same time. David: Were there any other types of opinions about this solar event that were different than that? Corey: Yes. Some of them expected it to come in, burn up the atmosphere, cause all kinds of earthquakes, volcanoes to go off, cause sort of like a nuclear winter situation. They also expected the sun to go dark for a number of days after this explosion. David: As if all the light-generating surface is gone now and it has to rebuild or something? Corey: If you just look at the dark spots in the sun, imagine the whole sun being a dark spot. David: Wow! All across the board, it seems like we're hearing about something that the Greeks called “ekpyrosis”.The word means “giant fire”, and it's a giant fire from the sun. And all these ancient Greek and Roman philosophers all believed the sun was going to do this. It was considered common knowledge in the pre-Christian era that this was going to happen to us. Corey: Right. And that's probably the . . . He said the most esoteric groups in these syndicates believe much like our community does, that this is going to be a kind of a spiritual or an Ascension type of event. And this is an event that those in our community look forward to, but one that these syndicates want to hide from or try to hide from. David: If you go into the Zoroastrian tradition, the word they use for this is “Frashokereti”, which actually translates as “making wonderful”. And they say that the wicked are burned by this but that the just experience some sort of an Ascension. So that's a very interesting correlation there. Corey: We were in the middle of a conversation, and I see a Blue Sphere come into the . . . well, basically it's not really a room, but come in to where we were. David: And where were you? Where was this happening? Corey: I was standing . . . When I had arrived, I had seen Tear-Eir and Gonzales standing next to each other. And when I was looking up at that cosmic scene, they had moved closer. And when they did, I noticed behind them were the two other Blue Avians and the Golden Triangle-Head being. David: So you were inside one of the Spheres, and so you have that crisscrossing floor of geometric lines, and you're seeing the canopy of stars, etc. David: So Gonzales gets picked up by a blue orb at this point or something? And then 'fst', he was gone. David: And you and him have just had a very poignant conversation that, as far as I'm concerned, it's really the core of the whole reason why I'm on this network. If this kind of an event that he was just describing is about to happen, there could be nothing more important than for us to know about this, to prepare for this, and to understand what it means for us and how we can harmonize with this change. So what did Tear-Eir have to say to you after you've just had this big, heavy discussion? Corey: Quite a lot, actually – quite a lot. He greeted me, and we started to discuss a little bit about what Gonzales and I had discussed about the solar event. The sun he showed me pulsing, and then these huge blast waves coming off of it – energetic blast waves. David: The sun was pulsing? Does that mean that the surface actually changed in size? Corey: It was pulsing with energy. Energy was pulsing out away from it. David: So maybe more just the energy comes out, not so much the size or the diameter of the sun changes. Corey: Right. And the corona . . . There was like a second corona around the sun of electricity bolts all going out. David: Oh, really? What color was that? David: Okay. And what were the pulses' colors? Corey: Yeah. And I also saw an image . . . He showed me an image of one of these waves hitting the Earth, and it wasn't what I expected. I expected a wave just to go 'phoof' through the Earth. 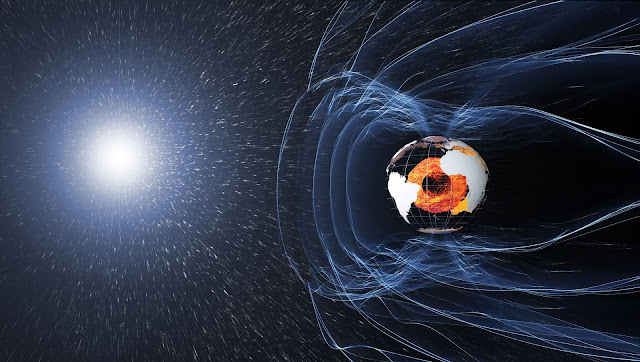 This wave came, and it hits the magnetic field of the Earth, and then it wraps around, and then it comes back on itself in the North and South Pole and then entered to the core of the Earth. And then the energy emanated from the core of the Earth outward. David: Outward in all directions? Corey: In all directions through the surface. David: Wow! What did this actually look like? 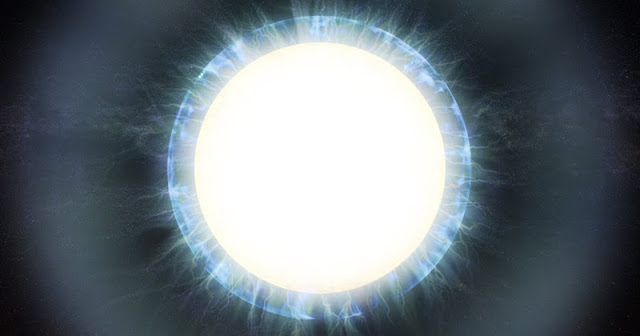 Was it like white colors, white energy? Corey: Yeah. 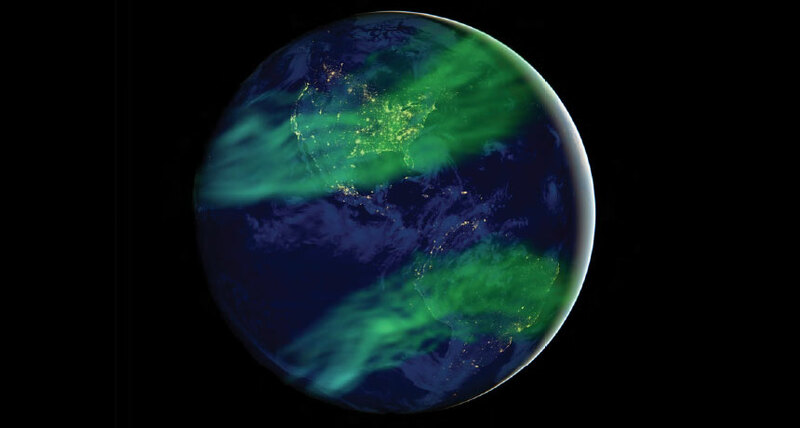 The energy was white, but there was an interaction around the magnetic field that looked like aurora borealis but all the way around the Earth. 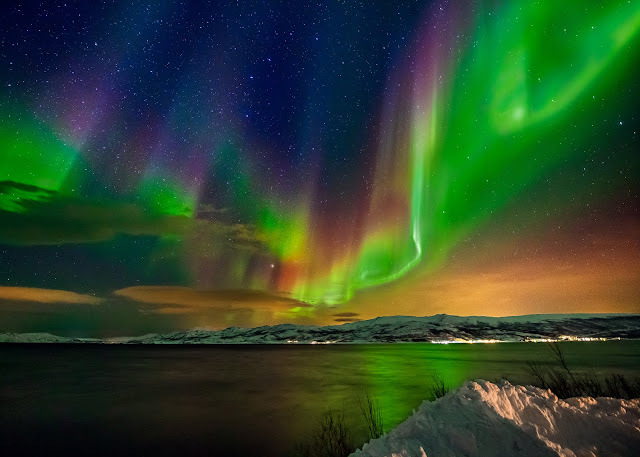 David: Oh, so that would be where the Hindus say that it's a rainbow-colored energy that comes off the sun, because they very clearly describe what they call “Samavartaka fire”, and they say that when this happens that there are rainbow colors in the sky. So that would be the aurora borealis you're describing. Corey: Could be. And I was thinking . . .
David: It was all over the Earth, you said? Corey: Yeah, the whole Earth. David: Yeah, it sounds like the whole Earth is like a light sponge. It's just been soaked up and squeezed out with this whole new energy. So it doesn't matter where you are. David: So this vision must have been very surprising to you. I mean, you're seeing something that probably would cause some people to just burst into tears because it's so profound. And it's our future. What was your experience as you're seeing all this? Corey: My heart is beating fast. I'm breathing fast. Both myself and many others I have talked to have seen visions of the sun at the moment of the event which is said to be imminent. Though I cannot take any one as absolute fact, I can say that every aspect of society as well as many ancient texts point to some type of planetary and solar systemic event which will change a good deal of life on Earth in significant ways. 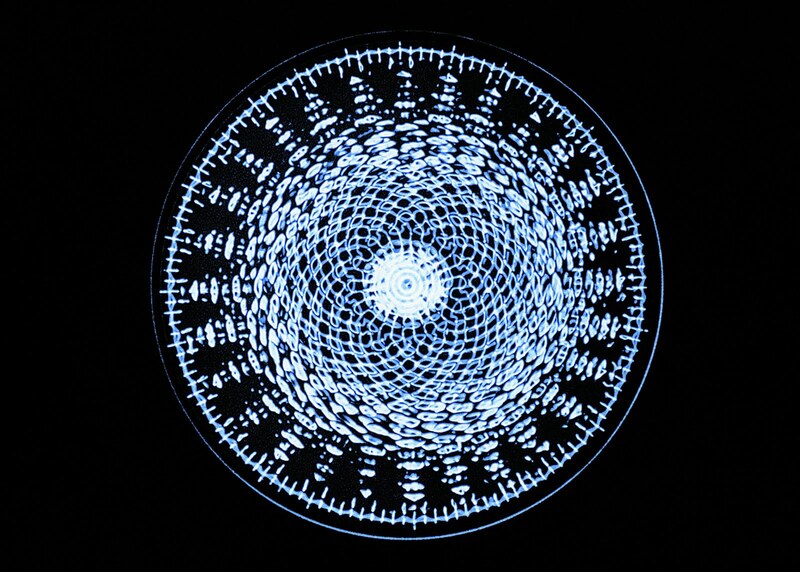 From my own experience, the sight appeared to be similar to a cymatic resonance plate. 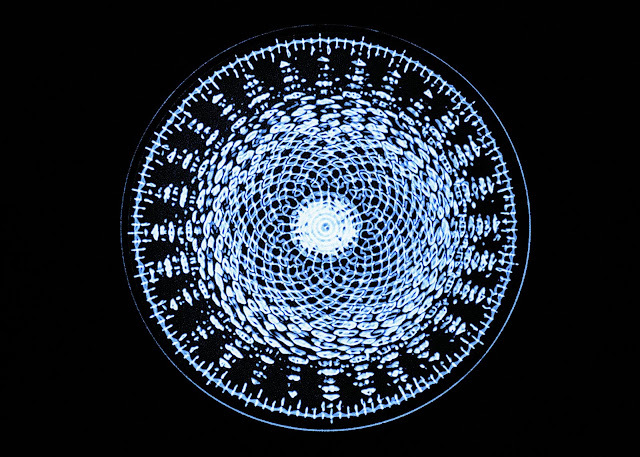 The pattern of energy emanating from the sun had the complex spiral-graphic image which is commonly known in the study of cymatics. This pattern moved away from the sun like a wave—growing as it moved away from the sun's surface in all directions (though it seemed less cinematic and more of a 2D representation in my vision). The vision was only for an instant during a Sunday global meditation. However, the experience was memorable. I take it to mean that there is something rather profound which we as a planet have to look forward to. David: So what happens next after you watch the energy go through the Earth? Corey: Tear-Eir tells me that right now is a very pivotal time for our co-creative consciousness, that everyone on Earth, our co-creative consciousness, was deciding what type of an experience this would be, what type of temporal reality we would go into from this event. And I wasn't really surprised that the mass consciousness was going to work in tandem with this event. I was surprised at how much it was, how incredibly important the mass consciousness is. And he further stated that every single person on this planet is just as important as the other. There is no one that is any more special in this process, that we are all partaking in it. And even some of the non-terrestrial groups that are trapped here are having an influence on it. Their mass consciousness . . . Their consciousness is having an influence on what is happening. David: In the Law of One, they talk about a three-way split. 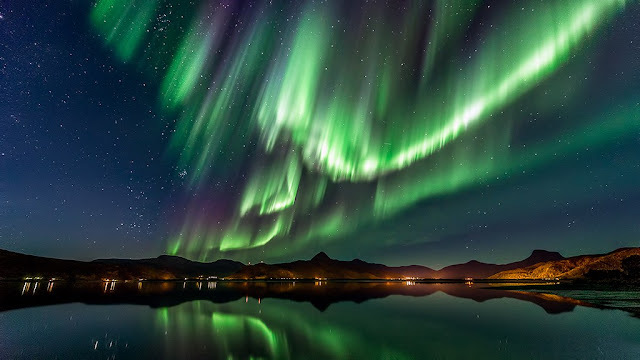 They explain that there is a positive outcome for certain folks, there is a negative outcome for the negative path, and then a lot of people who are not able to ascend will recycle essentially – be brought to another planet where they continue. So do you think this optimal temporal reality thing means that different people actually will experience one of those timelines depending on the choices they've made and what they've done? Corey: That seems to be what was indicated. Corey: And all of this made me kind of think about the “Mandela Effect” that I'd been hearing so much about. And last time we were out here . . .
David: Could you define it again for those who don't know what it is? Corey: It has to do with people experiencing different timelines, having different memories from the past. Some people having a memory that Mandela died in prison. Some people not having that memory. And then when he was let out of prison, there was a lot of confusion among people that had different memories. David: Okay. And there's a variety of specific things, like “Interview with a Vampire”, “Interview with the Vampire”, “Berenstein Bears” or “Berenstain Bears”, this kind of stuff. David: Okay. So you asked him about the Mandela Effect? Corey: Well, I didn't have to. I was thinking about it, and he told me that this was a very real experience and that it would increase, . . .
Corey: . . . that we're experiencing a merging of temporal realities right now. David: So it sounds like this . . . I can't imagine what it must have been like to be in this room, if you want to call it that, this Sphere, because I've never been able to experience any of the things that have happened to you. I'm basically just like the audience. I'm having to try to interpret what you're seeing, have pictures in my mind without having been there. I would have probably been in tears. 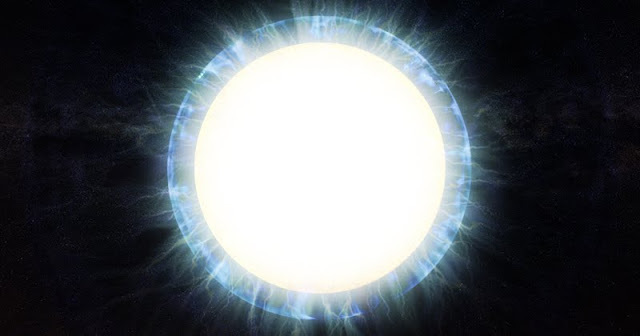 This image of the sun giving off flashes of light, going into the Earth, transforming the Earth. This IS the Ascension. This is something that we have been expecting. It's a magnificent event. What was your feeling as you're seeing all this? Corey: Well, it's quite a sight to behold. My heart was beating faster. I was breathing faster. And it didn't help my anxiety - the next thing that Tear-Eir communicated. He communicated that if at this moment this event occurred, less than 300,000 people from the planet would be harvested or ascend. David: And the word 'harvested' is a Law of One term. David: And was he using that term? Corey: Yes, he was using that term. David: Really? So that's very, very small. And tell us again what the criteria is for Ascension in the Law of One? It's very simple, right? Corey: Right, to be 51% service-to-others. David: And most people would naturally assume that they are. Corey: Well, of course. Everyone thinks that they're at least close. David: So where is the big stumbling block taking place? How could so many people not be ready when it would appear that all you have to do is just be nice? Corey: Well, a lot of it goes back to the control system going on on the Earth, the mind control, the behavioral control. David: But that's not our fault. David: Okay. But it's there, and it's affecting us. The idea of the “harvest” in Law of One terms may be one of particular interest considering our present state as a planet. This is what we have come to know as ascension in recent times. As it stands, it seems as though the number of people ready for this transition higher densities are relatively low compared to what they could be. This actually relates to the end of the previous 25,000-year cycle here on Earth according to the Law of One. Below is the passage which describes that cycle and how events progressed here on Earth at that time. 22.7 Questioner: You spoke of the South American group that was harvestable at the end of the second cycle. How long was their average life span at the end of the second cycle? 22.8 Questioner: Then I’m assuming the planetary action that we’re experiencing now, which shortens, it seems, all life spans here, was not strong enough at that time to affect them and shorten their life span regardless. Is this correct? 22.9 Questioner: About how many people populated the Earth totally at that time; that is, incarnated in the physical at any one time? 22.10 Questioner: Approximately how many were harvestable out of the total number? The last cycle on Earth only yielded a total of 150 out of 345,000 people who were ready to transition to the next stage of evolution. That's only 1 out of every 2,300 people. Today the Earth's population is about 7.4 billion. If the number of 300,000 is accurate that means that only 1 out of every 246,000 people will be able to graduate and ascend to the next level (if my calculations were correct). This is not an exact number. However, it is strange to think that only this small number of people meet the general criteria of simply being good to others and themselves. 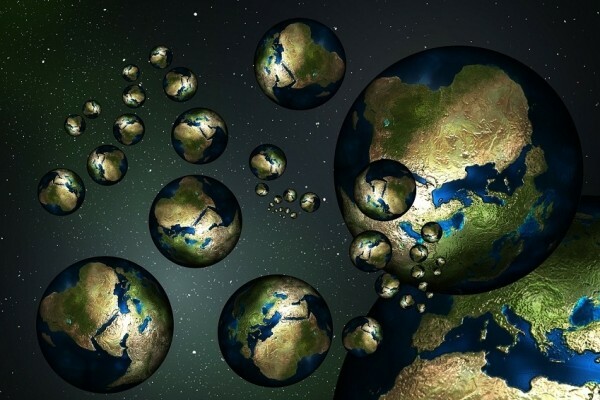 We may take into account that the number of souls who are said to be graduating presently is right around the entire population of the Earth at that end of the last cycle. I would like to think that in the last 25,000 years, these souls have learned all that they needed to and are among those who are now ready to move forward. However, this is only a hope. Either way, it seems that we all have some work to do and a few final exams to take before graduation. David: What is this control grid doing exactly that's making it so bad? Corey: It's affecting our vibration to where we don't reach our full potential and we're easier to control. We're more apathetic. 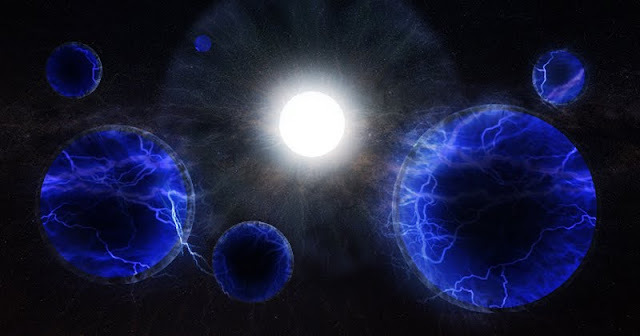 And it was communicated that this control grid was being affected by these solar changes to a point to where either the non-terrestrials or the Cabal-type groups had to turn it to its maximum setting to have the desired effect. But this also causes symptoms from the technology. David: So wait a minute. You're saying that right now, this Draco mind control grid that we've already been discussing, that they've had to jack it up as high as it possibly can go in order to not lose control of the “slaves”. David: So there's no higher that it can go than where it is right now. Corey: That's what was communicated to me. David: And what again is the spillover as they do this? What happens as a result of them jacking it up to 10 out of 10? Corey: There are symptoms from this technology - people acting very erratically and bizarre and being totally apathetic, ineffective. David: So you're saying that this is actually an energetic effect caused by this technology. Corey: By the technology, and it's a cumulative effect with the energy coming from the sun, and it interfering with this technology being used against us. David: So this seems really hard to believe. I mean, I remember, obviously, when they talk in Law of One about the second phase of our cycle on Earth that only 150 people on Earth were ready to ascend. So I guess in that sense, about 300,000 is better, but still, this is a big, big surprise to me. I did not expect the number would be that low. What is this “optimum temporal reality” that he's talking about exactly? Corey: The best-case scenario . . .
Corey: . . . of, I guess, us going through . . . everyone on the planet or the majority of people on the planet that are service-to-others, going through, I guess, this Ascension-type event. David: So there is a possibility that that number could still go way, way up. Corey: Right, because right now, the temporal realities are not set. We are the deciding factor. How we respond to what's going on right now, our mass consciousness is a major factor in which temporal reality we end up on. David: So how do we know which temporal reality we are going to be on as this goes forward? Corey: I asked Tear-Eir that. I said, how will we know if we have chosen the optimal temporal reality? And he replied that David and myself . . . if the world was shaken around us, that we would know that we had chosen an other-than-optimal reality. And I thought to myself, “Well, what are the chances of David in California, me in Texas, feeling the same earthquake? Because I assumed it was an earthquake. So I wasn't quite sure what that referred to. David: A pole shift would be a worldwide earthquake and worldwide volcanic activity and tsunamis and super storms all happening at once. So that's apparently one reality. But he's saying that if this happens to you and me, that in that moment we would know that . . . that what? Corey: We had chosen an other-than-optimal temporal reality. David: Humanity as a whole? David: But then you and I would actually be experiencing a cataclysm. Corey: It's hard to know fully what he was saying. He was just saying the world would be shaken around us, and then we would understand what had occurred, that we were not going to be happy about it. David: Let's just be clear for people watching this because this is very serious stuff we're talking about now, and we don't' want people having nightmares, and we don't want them writing in saying they've lost their faith in us and all this stuff. It's been said, to me at least, that even if that timeline took place that we get pulled out and you're not going to experience a physical death unless your karma invited that. Would you agree with that? Corey: Yes. Overall, I think that this was some sort of a cosmic wake-up call for the planet . . . 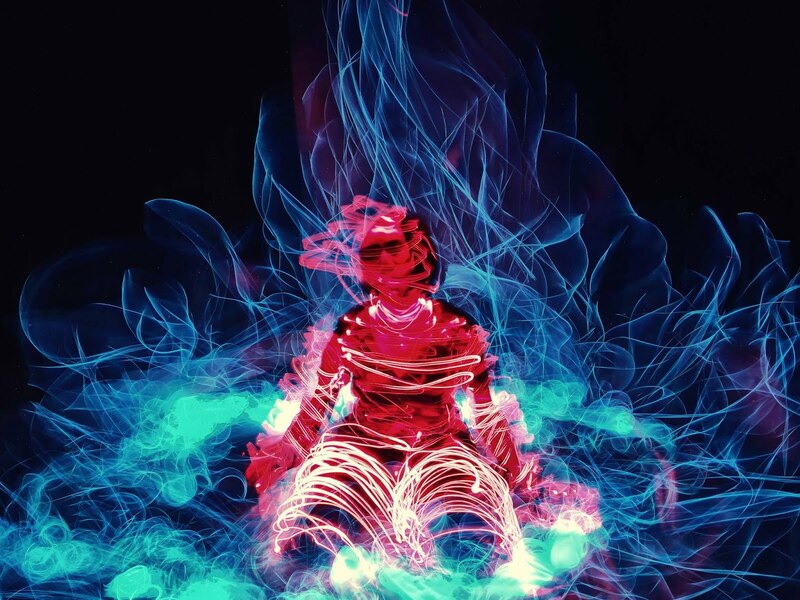 I cannot say that I have had visions as vivid as those which Corey Goode has described, though I do know the feeling of seeing visions and being at a heightened state of energy. I have had numerous dreams in the past that all point in the direction of graduation and ascension, of being at my old high school but being far beyond any need for such a place. I would be sitting in desks I didn't fit in, sitting in a cafeteria I had grown out of, and drinking out of fountains that were far beyond their years. Considering how many of these dreams I have had in recent times, I would say the metaphoric is fairly unmistakable. We are ready to go. There have been a number of dreams that I have gone back to my old job (which was somewhat unfitting considering my overall focus of progressive living). I would go to this place where my old work station would have been, but the whole room was cleared out. There were no people, no desks, or equipment of any kind. There were only marks on the floor where the furnishings used to be. There is no one in the adjacent warehouse either. Then for some odd reason Captain Picard showed up and tells me that I had a great journey ahead of me, and that my place was somewhere different than where I was looking. Actually, he wasn't dressed like Picard, but it was a Patrick Stewart-type of character talking like the Captain. There were a number of work dreams like this and each time I went back to this workplace, there were further signs that my place was elsewhere. This was a job at which the employees were very set in their ways and uninterested in learning or advancement in any way. Consequently, it was not a place I fit in. So going back there in this dream was more of an act of habit rather than preference. Corey: . . . that we need to be working right now on working through our karma, and we need to put as much effort as we can into being service-to-others. David: Whew! If the numbers are that low, then let's hope that there are things that can be done that would change that. Corey: Oh, obviously there are. Corey: He was saying if it were to occur right now, that's the way it would turn out. But we are still making a choice as a mass consciousness being on which of these temporal realities that we're going to choose to experience. David: Well, when I think of Gaia, I think of it as the Disclosure Network. If Disclosure is the purpose of this network and what we're doing here, why we're doing this network is to get the word out, does that have an effect on the outcome? Corey: Absolutely. A Disclosure that's a worldwide Disclosure is going to change the consciousness of everyone on the planet. And that's going to boost us in the right direction. David: Do you think that maybe many of the people who are so distraught right now, that are always writing negative comments on the Internet, and the economy is so bad, and they have a sense of hopelessness about the future, do you think that if there was this sort of “if you throw up you'll feel better” kind of thing, that those people's opinions might start to change? They might not be so angry anymore? Is that kind of what we're talking about? Corey: Yeah. If everyone receives the truth, then they can move on and start working on these self-improvement aspects. David: So did you get the sense that you and I were steered into this network and being part of this disclosure initiative here for a reason, that this is part of what could turn the tide? David: Okay. So in some way as people learn the truth, their attitude and their consciousness shifts, and that in turn affects the whole planet. Corey: Indeed. And I had several more questions along those lines when I saw the Blue Sphere come back in, and it deposited Gonzales next to the three beings that I mentioned before – the two Avians and the Golden Triangle-Head being. Corey: That occurred as we were finishing up our communication, Tear-Eir and I. And then they glided closer. David: So what happens at that point when they glide back to you? Corey: And it was nice to see that he still had his, you know, same sense of humor. David: Right. So the Mayans had not taken away his personality. Corey: Correct. And he put his hand on my shoulder and guided me away from the group and started to finish our discussion. David: And what did he tell you at this point? Corey: He wanted to finish talking about what had occurred down in Antarctica. And he repeated the same stuff. It was nothing new. Corey: But then something popped out that he had never said before. He said, “In that area where you did the reconnaissance and saw all of the ancient structures just strewn about, . . .” not far from there they had found an ancient burial ground. And in this ancient burial ground, they were finding the remains of beings with elongated skulls . . .
Corey: . . . and wide hips, smaller rib cages. And that was obviously something I had heard before. Furthermore, he told me that . . .
Corey: Yeah. He told me that they had found preserved remains of these beings that looks like they were flash frozen in the ice. David: Now, some of these folks appear to be giants with elongated skulls. Did these people have a normal human height? Corey: They're normal human height. David: And what was the data range again of how old they were? Corey: 18 to 60,000 years. That was in the graves. Corey: Now, they found remains of prehistoric animals and some of these beings that were flash frozen under the ice . . .
Corey: In Antarctica. And some of the big blocks were lifted many feet in the air off the ground and were flash frozen. It was like there was a giant tsunami that somehow turned turned to ice in the middle of . 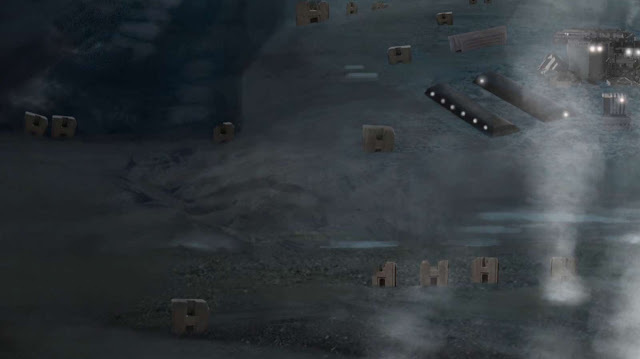 . .
David: The blocks were from pyramids or megalithic structures? David: And it froze so fast that they were literally levitated in the ice? David: How many of these bodies were found in this excavation? Corey: I was not told. David: But it was sizable enough that they were seeing this as a major new find? Corey: Yes. This was a civilization that had some sort of catastrophic event occur very quickly, and they had no time to react. David: So what else did Gonzales have to tell you when you had this second meeting with him? Corey: He also mentioned that during his time with the Anshar, he had seen some peculiar things. It was before he had worn out his welcome there. They were kind of complaining because he was always going around doing recon of everything down there. Corey: And during one of these recon missions of his, or a couple of times, he saw two priests walking down a corridor and then walking through like a cave wall. And he followed, and he couldn't go through the wall. And it was the third time that he saw them that he . . . Each time he was looking for a way to see in. And after he looked around quite a bit, there was some crack or fissure in the wall that he could look through. 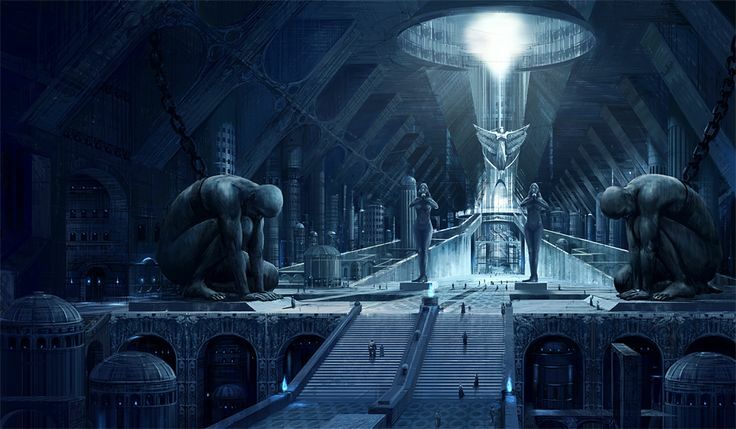 And he saw these two priests, Anshar priests, talking to a number of giants of different heights. Corey: Giant humans. And one of them was sitting on a big boulder, had his forehead in his hand, and was groaning while communicating with them. And I didn't get any further information other than that. It was shortly after that he was asked to leave. There was one episode from the Cosmic Disclosure series which was released a number of months ago titled, "Inner Earth Update." For the corresponding article, I used one particular graphic art piece (displayed below), but instead of using the entire image, I decided to cut out a small portion. The portion excluded was the chains attached to the giant figures. I did this because I didn't want to make any false impressions of the Inner Earth Groups. I can't say for sure where this image came from, but it seems that whoever created it had an accurate intuitive hit when they did. It may have been that somehow, this individual picked up on the idea that giants were being held captive somewhere beneath the Earth's surface. Kudos to whoever created the image. David: The giant appeared distressed. Do you have any speculation as to why the giant was distressed? Corey: He said that he thought that either they were prisoners or that they were refugees and they just were very unhappy. He really didn't know. And I don't know. David: All right, so was there anything else of significance that Gonzales told you at this point? Corey: Yeah. After this, he mentioned a few things just in passing. He mentioned a few things about what was going on on the surface of the Earth. He said that the syndicate groups and the Earth Alliance groups were getting nowhere in their negotiations. He stated that these syndicate groups were insisting that either everyone of them be pardoned or none of them be pardoned. They didn't want any of the lower people, or people that worked for them unwittingly, to be pardoned unless they were pardoned, too. David: Yeah, but if one person steps on a bug and somebody else is a mass murderer, how can you try to hold everybody equally accountable? Corey: Well, that's where they are in the negotiations. Corey: He also discussed a few small things, like the military intelligence groups had been tracking DH – Department of Homeland Security - assets that were quietly deploying throughout the United States, getting prepared for social unrest. Military intelligence had heard that the DHS was willing to put down any public rising [uprising] with violence – any uprising with violence. David: So are you saying that these assets are in place because of an anticipated Alliance move against the Cabal in America or something like that? Corey: It wasn't specific. They were preparing for some sort of public uprising, and the military intelligence groups had begun putting military assets, like special forces operators, in position to shadow these groups, having them get jobs in a certain area and try to blend in while observing what was going on and prevent them from carrying out whatever they were going to do. Corey: He also mentioned that it was a concern that they didn't . . . He didn't think that the syndicates were going to allow Trump to become president even if “they had to stab him on Inauguration Day,” is what he said. David: Really? Well, a lot of people who are at least in left-leaning media, they think that Trump is a racist and a misogynist and this and that and the other. But are you saying that they continue to believe that he is actually not a Cabal member and that he's actually going to do something positive for us if he were to be elected? Corey: Well, they believe that he is not a Cabal stooge, and that he's not very controllable. Corey: And that if he has that position, if he gets that position, it's going to be very bad for these syndicates. David: Because they like a president that's basically a marionette for them. Corey: It's their last bastion of control. Gonzales also stated that during these negotiations, they had insisted that there be no Full Disclosure, that they wanted a controlled disclosure over a 100-year period, that as I told you in the past, they think it's irresponsible, that it was going to cause socioeconomic collapse, that countries victimized by the Cabal were going to want to strike back, that it was not going to be good for humanity when it's not going to be good for the Cabal. David: So they're still pushing for this partial disclosure. Corey: Yes. And a lot of the Alliance agrees with it. David: But I thought you had told me earlier this year in talking with Gonzales that they had concluded that partial disclosure was impossible. Corey: Well, the SSP Alliance has. David: Oh. But maybe the Earth Alliance group still think that they could pull it off. Corey: Correct. They also are opposed to any document dumps. They think that would be irresponsible as well. It's already been figured out that any type of data dumps are going to be done in spurts, because the Cabal has . . . They're ready for it. They're ready to flip the kill switch on the Internet and do whatever else it takes to mitigate the damage of the information being released. So they're going to have to release it a little bit at a time. David: So is there anything else at this point that Gonzales has to say to you in this meeting? Corey: Well, he was also mentioning that these syndicate groups were happy with the fact that they were able to cause racial disharmony and riots in certain areas. They expected them to use that as a further wedge with our society in the future. Corey: And then they went over some of the old threats that we've covered before about the super volcanoes under the ocean, that they're threatening to blow up and cause an extinction-level event. They're threatening to, as I said, shut down the Internet. There are a lot of threats, a lot of brinksmanship that the syndicate groups are making. David: Well, but as we've discussed, it definitely appears that they're not going to be authorized to do that stuff because humanity's free will collectively is not activating that to happen. Would you agree with that? Corey: Yes. All of the attempts of the syndicate groups to start World War III or to cause big problems like this have been unsuccessful. David: Well, this is the first time that you've really had access to the SSP Alliance since this whole stuff with the Wrangler happened. Even though Gonzales isn't really in it anymore, he said he was in contact with them. So did the Alliance have anything to say to you through Gonzales? Corey: Well, they were wanting to offer me some sort of a olive branch and also were saying that they were going to have this Wrangler character apologize to me publicly. Corey: In front of all of his peers. Corey: I wasn't really interested in seeing that guy again, so that one really didn't pique my interest at all. But I did want to know more about the olive branch, which Gonzales gave me the information. And it was basically the same offer they had made me before through the Wrangler, but in a negative way. David: Well, you've mentioned before that they have some pretty advanced healing technology up there. Did you ever ask them if they would help you with any of that stuff? Corey: Well, yeah. That had been dangled in front of my eyes a couple of times. And he stated that if they still had access to the LOC [Lunar Operation Command] before the outing of their people, they would make that available to me, but they would make available to me what they had, which was some healing technologies. David: Now, the Wrangler had offered you some kind of intelligence job working for the Alliance, where it seems that you would no longer be able to talk to me or anybody on this show about much of what was going on, but that you would have taken over what Gonzales was doing, which sounds like he's not too happy about that now that he's actually been healed. Corey: It was the exact same offer that the Wrangler gave me. David: They brought it back again. Corey: They brought it back again but put a positive spin on it. It was the exact same setup. And I politely declined. David: Well, it seems as if your role is to share information. And obviously, if you did that, then all that information would be cut off. Corey: I don't want to be under the control of a group of sociopaths, either. David: So how did this particular meeting with Gonzales end? Corey: It ended somewhat abruptly again. This time, Spheres came in for both of us. And we were both taken away. And I ended up at home. And shortly after that, Kaaree contacted me and told me to prepare for a trip to Venus - the one that I was turned away from the last time. Corey: So I started meditating and making sure that I had the right energy when I went in so I didn't get turned away like Gonzales did. David: Right. And that's what we're going to be getting into in the next episode here on “Cosmic Disclosure”. This is a really amazing journey, and we'll see you next time. Thanks for watching. It is good to know that there is much more to learn from these accounts. To think that such a profound change may be in our near future is not too farfetched in my perspective. However, many of us may see the present situation of the world and feel a bit disheartened at the sight. We may see the numerous acts of corporate sabotage of precious resources, the squelching of human rights wherever they may be reserved, and the systemic political corruption in multiple governments. At this sight, we may believe that there is no hope to the situation. However, this is far from the truth, in my view. Things didn't look too great for this guy either. But they turned out okay, didn't they? The journey of the hero throughout literary history has remained with a few key characteristics. Those story-tellers who have stayed true to this format of story maintained the literary aspect of the breakthrough (though it is typically termed differently). 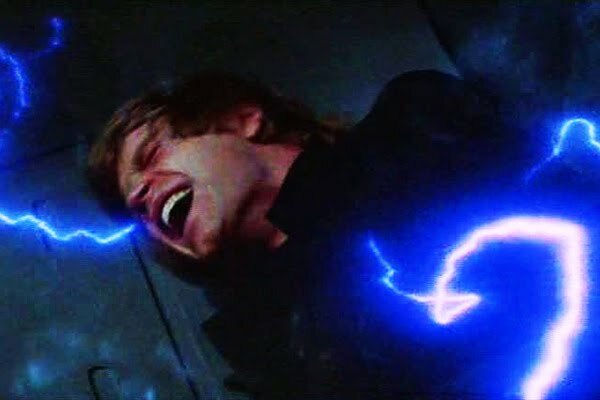 At the end of the ordeal of the hero, during their greatest challenge of all, just when it looks like they are about to be defeated and all will be lost, that is when the greatest event occurs. That is when the great deliverance is granted and the tide is turned so that good prevails. As Thomas Fuller once said, “It is said that the darkest hour of the night comes just before the dawn.” This is exactly what we are to look forward to. If things look bad, that's actually a good thing. As long as we remember that our situation is not going to stay that way. As long as we keep our eyes fixed on the greatest outcome possible, we will see our greatest Event take place.